I’m not a stuff person. I don’t like to have a lot of stuff around the house. I am constantly cleaning out closets and throwing things away. I’m the opposite of a hoarder, I frequently think, “Where’d I put that thing I need?” then remember that in a moment of cleaning euphoria, I threw it away that one time. So as you can imagine, this whole subscription box craze is not for me. I tried Birchbox and realized about two months into it that I hate having piles of small things around. WHAT AM I DOING?! Cancelled immediately. 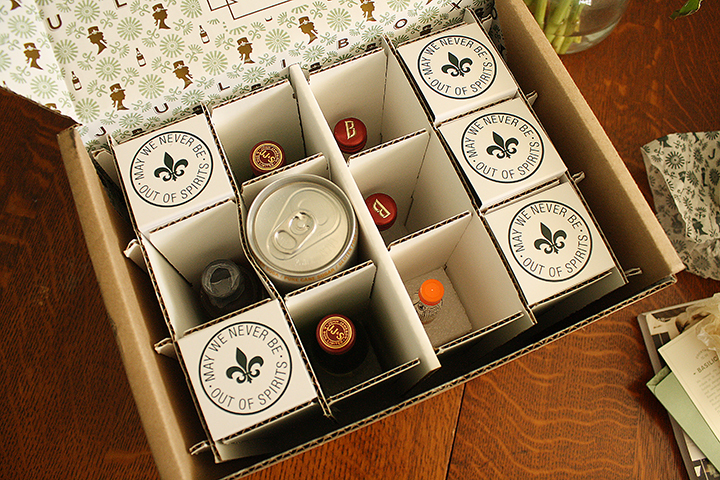 But it seems I’ve found the one subscription box I can fully get behind. Me and four of my college friends are spread out all over the country, so we usually go in together for a flower or cupcake delivery on each other’s birthdays. 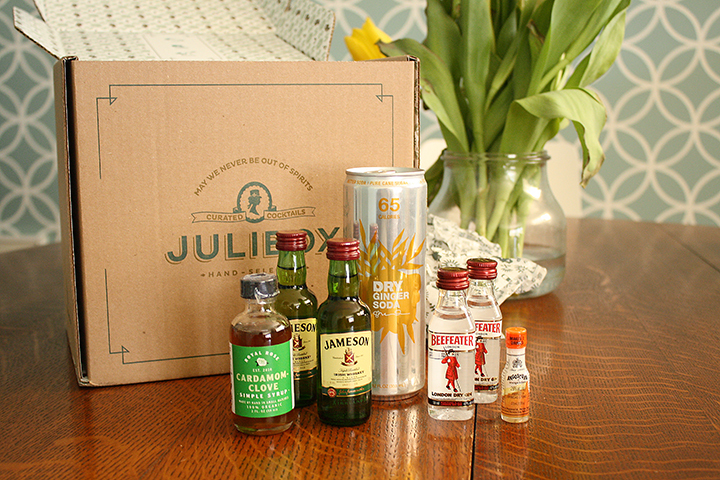 But this year, knowing how much Aaron and I love a good cocktail, the girls sent me a Julibox, a cocktail delivery service. 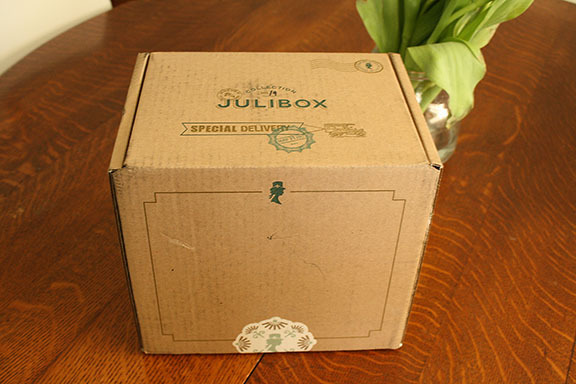 On my birthday, I received an email from Julibox letting me know that my box would ship middle of March. And around the middle of March, I received a second email letting me know which mixers I would need for the cocktails that would be arriving in just a few days. 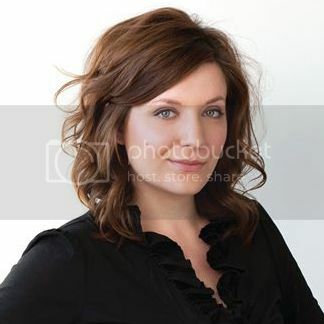 And when it came, I was absolutely thrilled. 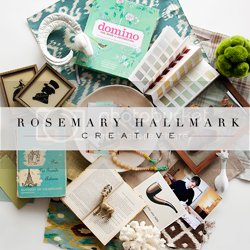 Everything about this company – from the box to the packaging to the TINY LIQUOR BOTTLES – is well-designed and fun. And I am a sucker for good packaging. 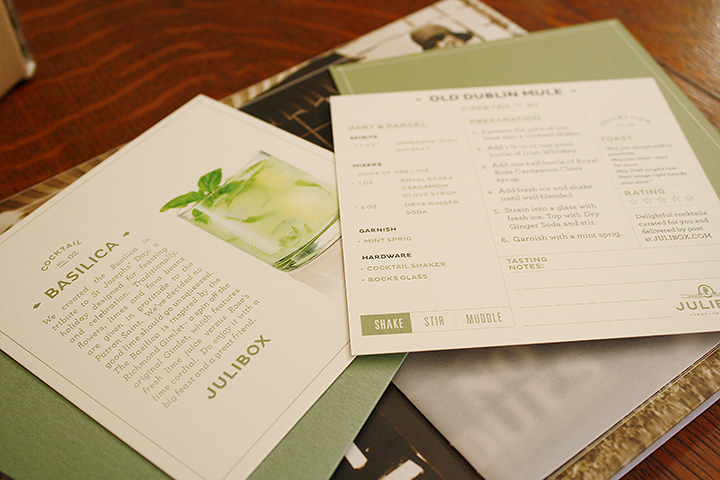 Each Julibox contains recipe cards and spirits for two glasses each of two different cocktails. So you and a date can enjoy two different drinks. 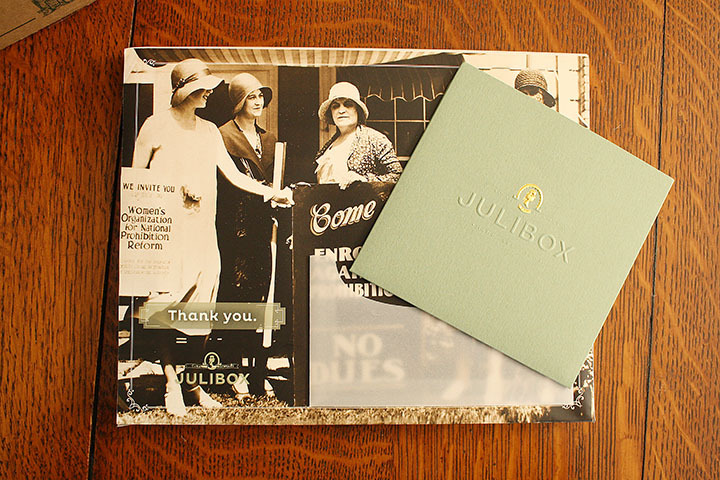 The recipes are created by Julibox and tell you everything you’ll need, how to make it, a toast, and space for tasting notes. 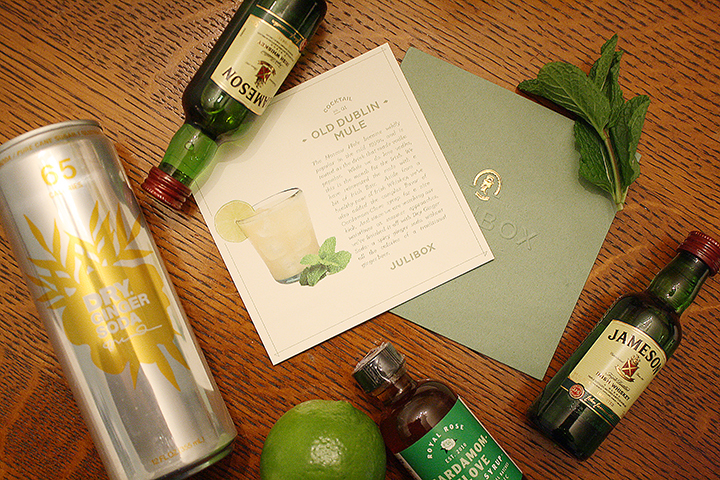 Since I received the March Julibox, my two cocktails were St. Patrick’s Day-themed – the Basilica and the Old Dublin Mule. Did I mention: TINY LIQUOR BOTTLES?! We made the Basilica first. 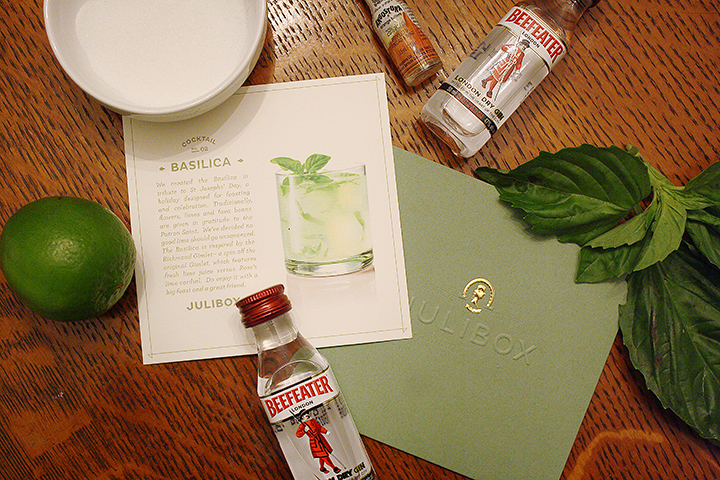 And just as the email from Julibox told me, they were sending the spirits (gin and Angostura bitters) and I would need sugar, basil and a lime. And the next night, the Old Dublin Mule, which was definitely my favorite with whiskey, cardamom syrup and dry ginger ale from Julibox. 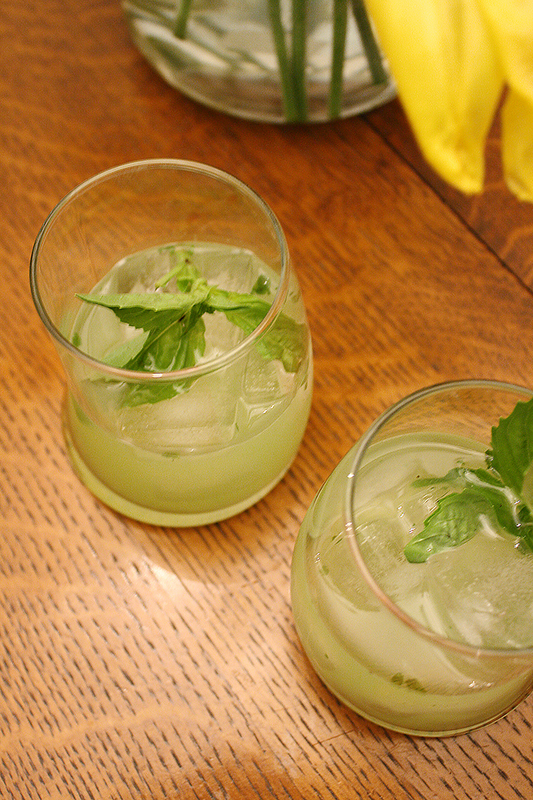 Mint and lime provided by me. 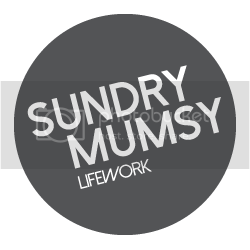 I don’t think I need to tell you that I absolutely love this idea. 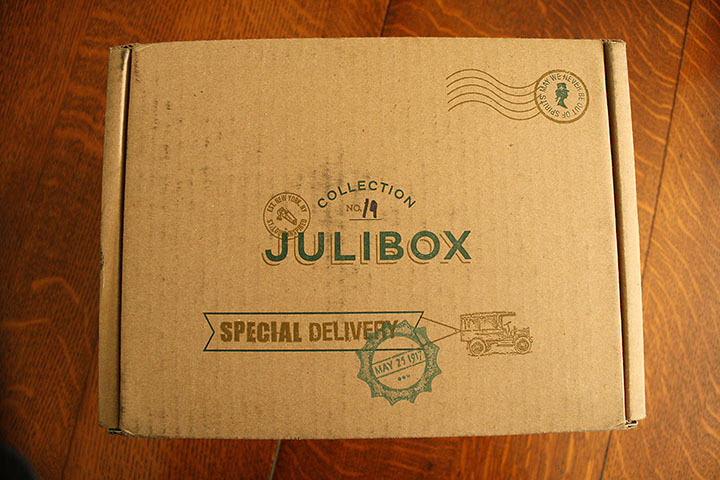 Of course, because they are a small, growing company, there’s a wait list to get a Julibox subscription right now, but add me to it! Prices start at $36/month and I think it’s totally worth it, considering you’d pay $10-12 per cocktail at a restaurant. 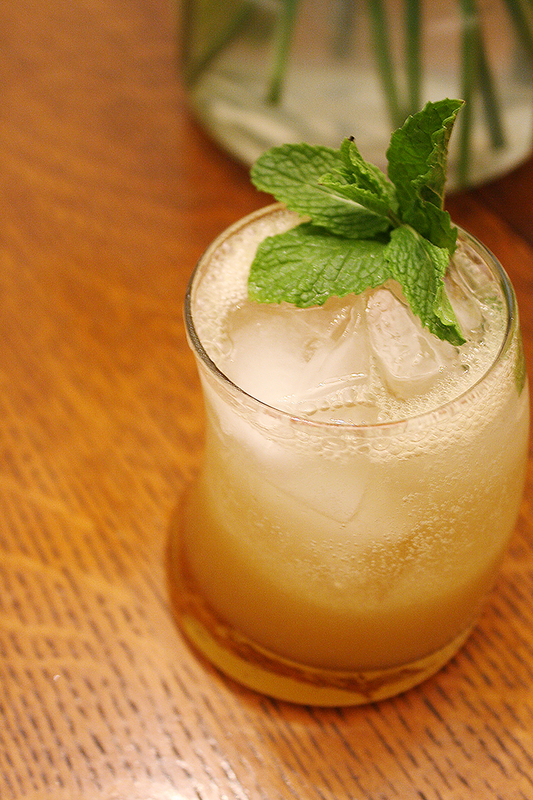 If you like cocktails, check out our Summer Cocktail Series here, or my Autumn Cocktail Series at Bourbon and Boots here.